As we learned earlier this week from the Marvel NOW article, there are a lot of relaunches in store for Marvel Comics. 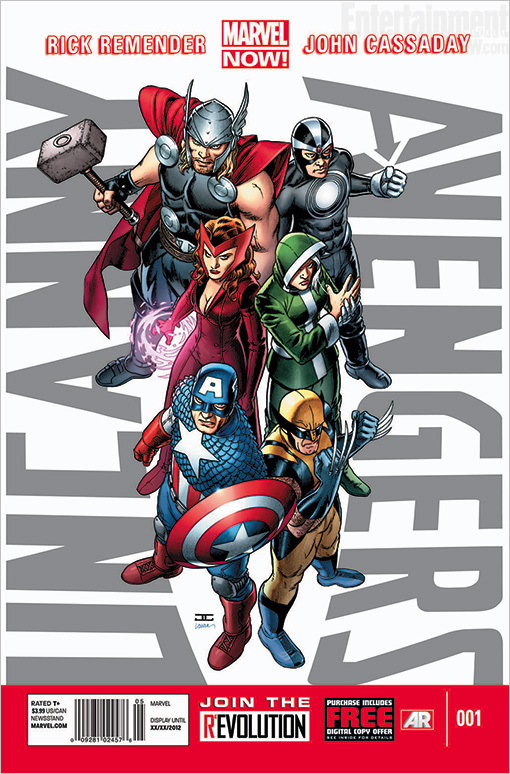 A major standout that was announced was The Uncanny Avengers, which has a team made up of Avengers and X-Men. Thanks to EW, we have our first look at it above. A good redesign for Havok, which plays off the classic look for the other Summer’s brother, a good look for Thor…this title already has me on board with Rick Remender penning the series. What do you think of it thus far?